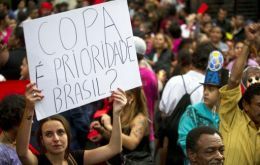 Police deployed tear gas and rubber bullets to disperse around 3,000 protestors from outside Rio de Janeiro's Maracana stadium ahead of the Confederations Cup match between Italy and Mexico on Sunday. Argentine tourists have staged a British invasion, with record numbers flying in to the UK in the last year, according to an article by Matt Chorley published in the Daily Mail. 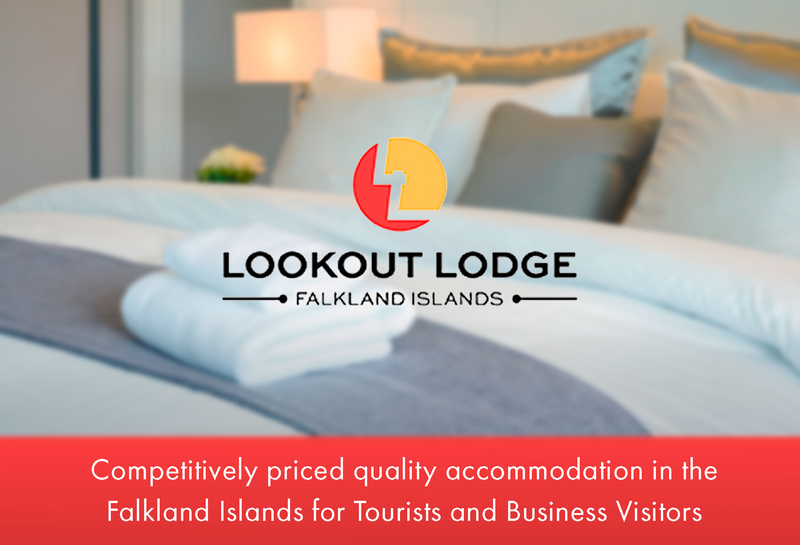 The influx of more than 100.000 visitors, up more than a quarter year-on-year, comes despite renewed tensions between the two countries over the status of the Falkland Islands. 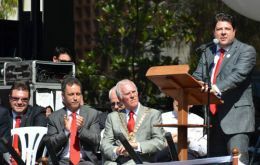 On Friday afternoon there was a holiday atmosphere in Gibraltar as most people took to the streets celebrate the Gibraltar Football Association's success in gaining admission to UEFA. 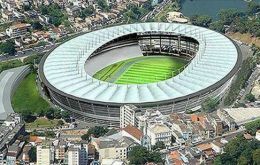 Heavy rains in the Brazilian north-eastern city of Salvador tore through the roof of a newly constructed stadium for Confederations Cup soccer games starting next month, a warm-up before Brazil hosts the World Cup next year. 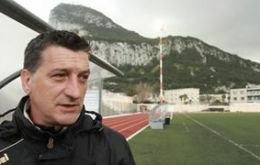 Gibraltar has been accepted as a full member of UEFA, European football's governing body. The application was approved on Friday on a majority vote at the organisation's congress in London, with no votes against and no abstentions. 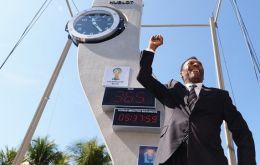 Actor and humanitarian Sean Penn called for the Dakar Rally to cancel its debut run in Bolivia unless an ailing American businessman being held under house arrest there is released. 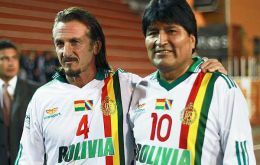 Penn, a friend of President Evo Morales has angered Bolivian authorities with his request.